This ‘Splendid Rajasthan Tour to Majestic Thar’ remains a dream of those who believe in the beauty and mirages of desert sands. 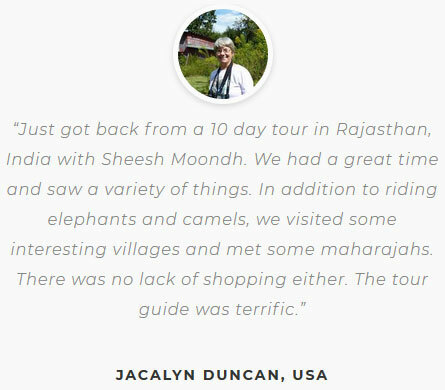 The tour is a great retreat for those having a fascination for Rajasthan’s history and its charismatic wonders. 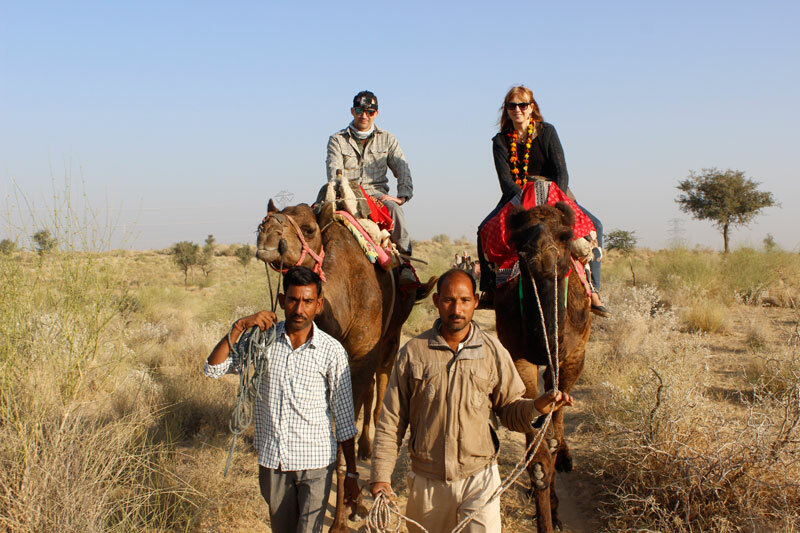 Its itinerary meant to gratify you with the most majestic charms of Rajasthan while enjoying the splendid beauty of gleaming sands of Thar Desert. 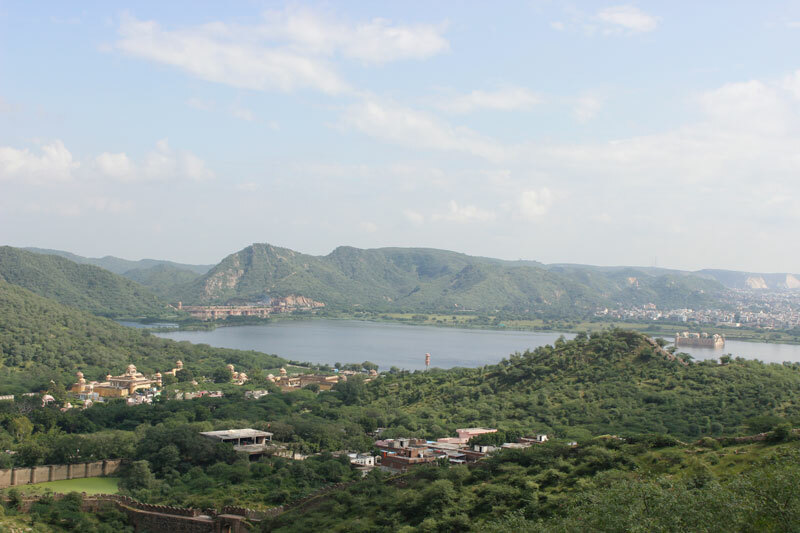 This is the reason why it remains extremely popular among those booking Rajasthan holiday packages. 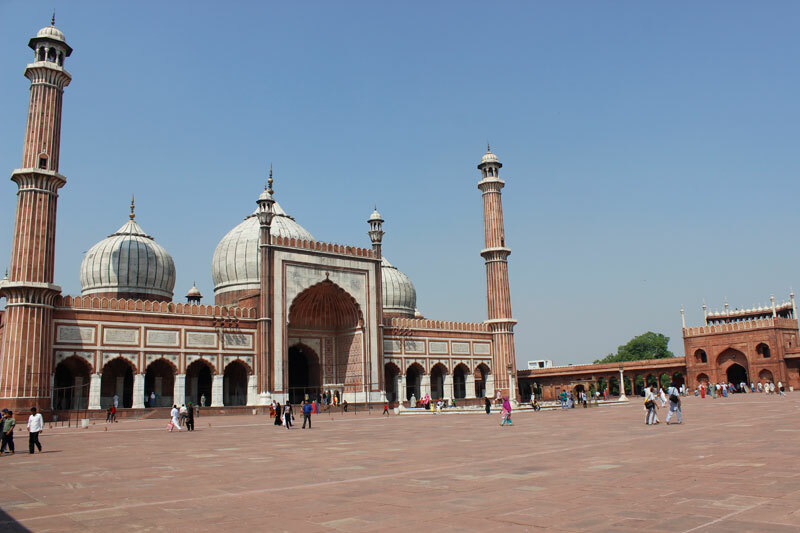 The tour begins from the city of Delhi from where you are taken to Jaipur, the city oozing vivid colours. Jaipur houses some of the most priceless wonders of history like City Palace, Hawa Mahal, Amber Fort, etc. Next you will be taken to the ancient Raisar Village where you savor the charms of desert and its hidden mysteries. Next destination weaved in your itinerary is Bikaner known for housing camels riding on the desert sands. The tour also treats you with Jaisalmer and Jodhpur, two cities which have witnessed some of the most legendary rises and falls of history. The tour does not end with this historical gala. It also brings to you spiritual joy in Pushkar. This holy town is blessed with the pristine Pushkar Lake and hosts the biggest Cattle Fair in India. For travelers booking Rajasthan vacation packages, this Rajasthan sightseeing tour package is a perfect pick. It has the perfect Rajasthan holiday itinerary which amazes you with the richest gems of this royal state. As you arrive at Delhi International Airport, our representative will meet and greet you at the airport. You will be then transferred to the hotel for an overnight stay. After breakfast, leave for Jaipur, the Pink City and the majestic capital of Rajasthan. 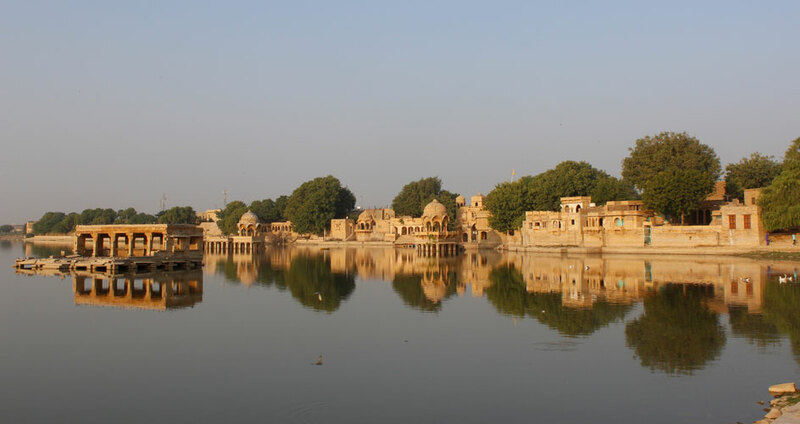 This colorful city tour treats you with some imposing wonders of Rajasthan. 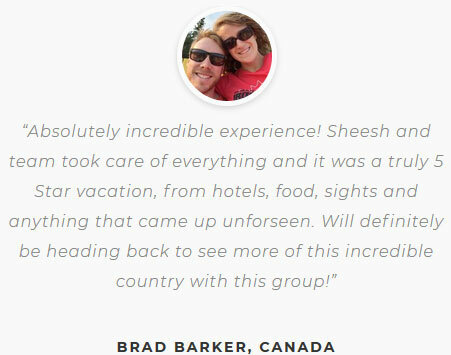 Start by visiting the grand Amber Fort known for being the world’s largest cannon on wheels. You will also explore the beauty of City Palace blending together Rajasthani and Mughal architecture. Here you can enjoy a walk through its rich courtyards, well maintained gardens, a historic museum, an art gallery. The day also takes you to Hawa Mahal which charms everyone with its remarkable beauty. Hawa Mahal rests right in the city centre and was made for royal women to peep down the road processions without being seen. After breakfast, get ready for an expedition to Amber Fort. 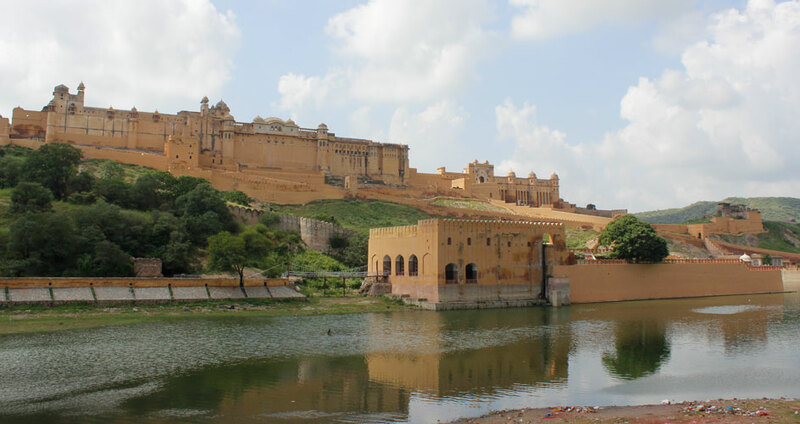 This remains the grandest forts of Jaipur which can be reached on an elephant back like a real king. The fort houses numerous places of interest like Diwan-i-Aam, the Diwan-i-Khas, the Sheesh Mahal (mirror palace) and Sukh Niwas. Thereafter, experience the astrology at Jantar Mantar. This UNESCO World Heritage site houses the world’s largest stone sundial. The monument showcases architectural innovations and remains a perfect exemplar of the Ptolemaic positional astronomy. Spend evening hours enjoying some local shopping experience to bag some rich ornaments, handicrafts and local attires. After breakfast, get ready to visit the very rustic Raisar Village located amidst the Thar Desert. The village still carries its age old appeal and lets you experience village lifestyle where you stay in huts and tents. As the sunset, enjoy a beautiful camel safari in the sand dunes to spot amazing sunset views. Here you can spot numerous wild animals and birds as well. The day ends with a lavish dinner under starlit sky along with vibrant cultural performances. After breakfast, leave for Binaker, the Camel City of Rajasthan. 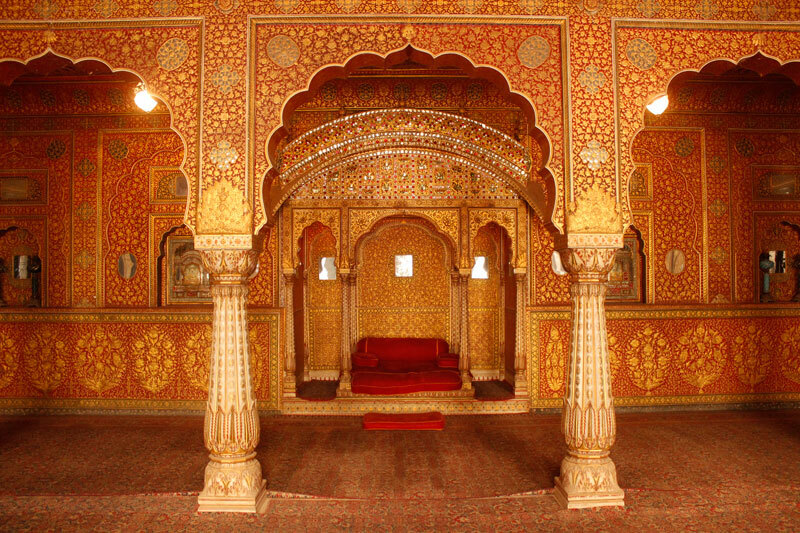 Here you will explore the majestic Junagarh Fort. Its construction started in 1589 and was completed in 1594. The fort is made of red sandstone and houses a beautiful assortment of courtyards, balconies, kiosks and windows. 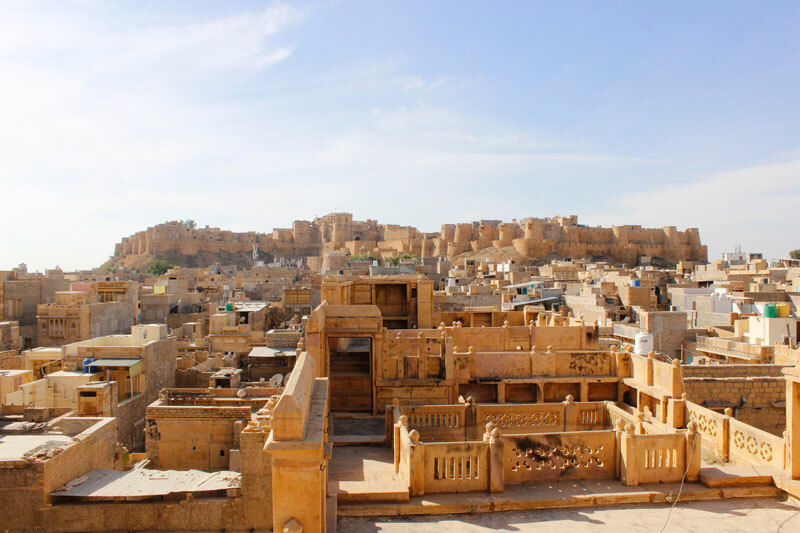 Thereafter, leave for the Golden City of Rajasthan – Jaisalmer. En-route you will visit Karni Mata Temple in Deshnok also known as the Temple of Rats. Here over 25,000 black rats live and are worshipped. Continue your drive to Jaisalmer. Upon arrival, check into the hotel for an overnight stay. After a lavish breakfast at the hotel, leave for a city tour of Jaisalmer known for its marvelous yellow stone architecture. 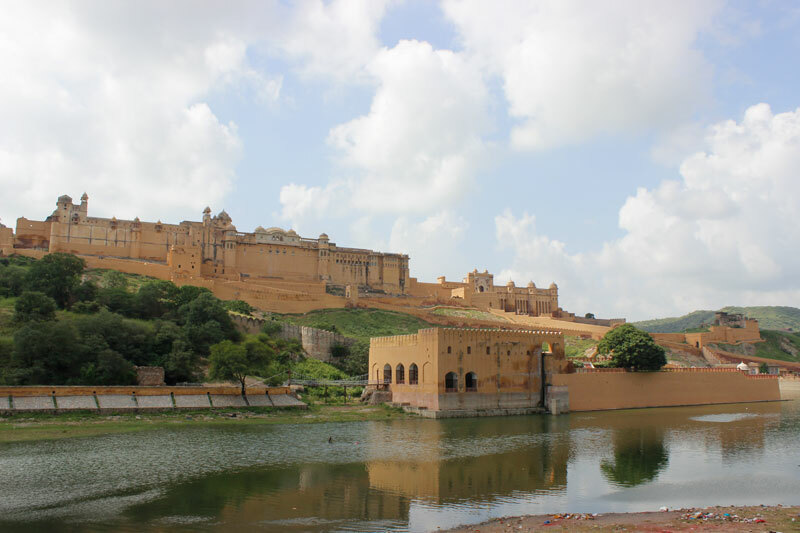 Visit the Jaisalmer Fort constricted in the 12th century by the Bhati Rajput ruler Rao Jaisal. The fort houses Raj Mahal apart from numerous havelis, gateways and temples. Its architectural design impressive and it overlooks the Jaisalmer city. 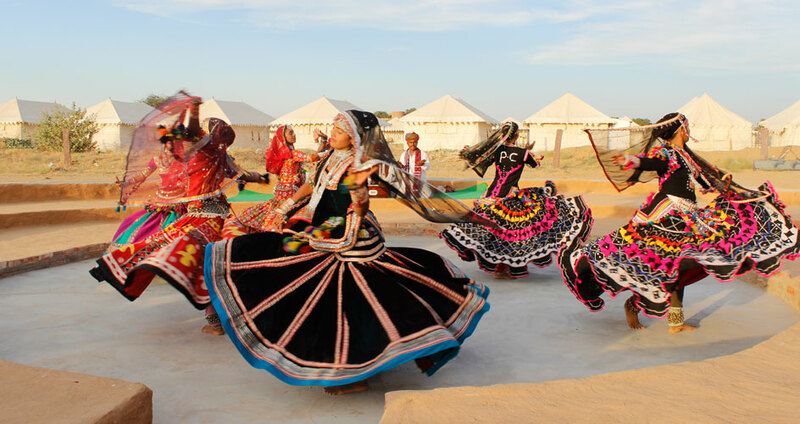 In the evening hours, you will enjoy charismatic performance of Kalbeliya Dance by local artists right in the heart of Thar Desert. After breakfast, leave for Jodhpur, the sun city of Rajasthan. On the way, you will stop at the historic Jain commerce center Osiyan, the Khajuraho of Rajasthan. Here you will explore 16 historically flamboyant temples like Sachiya Mata temple, Sun temple, Mahaveera Jain temple, etc. As you reach Jodhpur, check into the hotel and rest for a while. 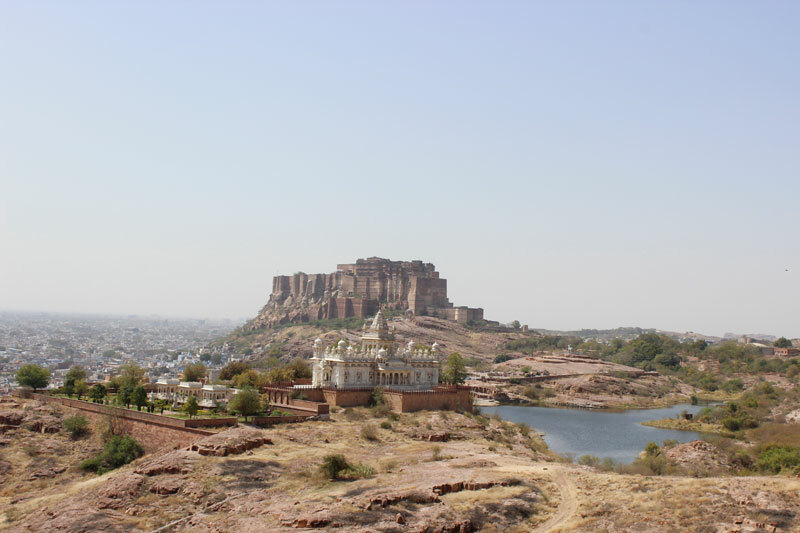 Thereafter, visit the Mehrangarh Fort built around 1460 by Rao Jodha. The intricate carvings and expansive courtyards of the fort are jaw-dropping. It also houses a museum exhibiting the heritage of the Rathores through various arms, costumes, paintings, etc. After breakfast, leave for the holiest town of Rajasthan, Pushkar. 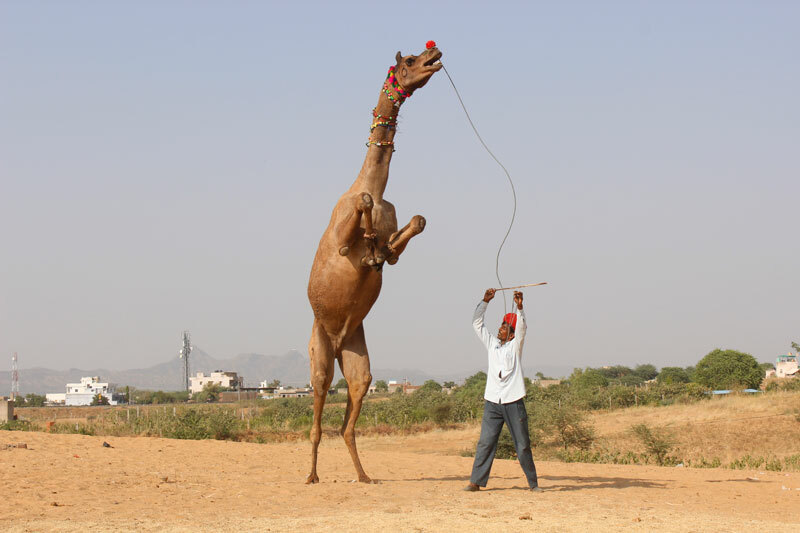 Pushkar is extremely known for hosting the biggest Camel Fair. People visit here to experience serenity and spirituality. It houses the only temple of Lord Brahma, a creator god in Hinduism. People can be seen taking spiritual baths in the holy Pushkar Lake here apart from performing various rituals. Spend the evening hours enjoying the local market areas to know more about the cultures of this place. After breakfast, you will be transferred to Delhi international airport to catch a flight for your onward journey. 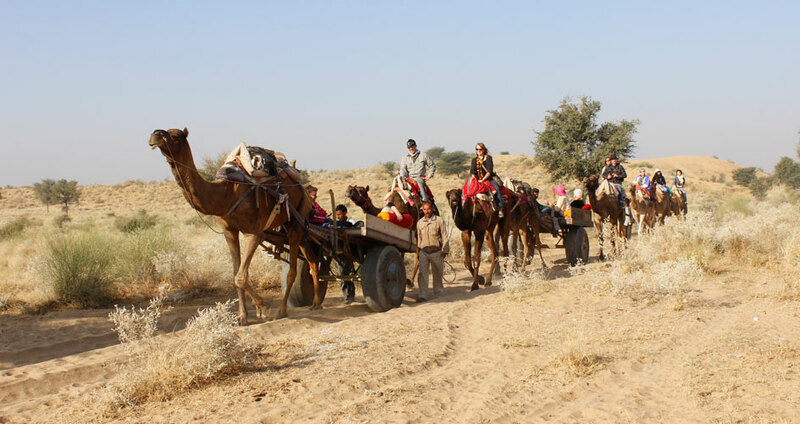 One of the best ways to enjoy the sand dunes of Thar Desert is taking a camel back safari. The experience is very enjoyable as well as an adventure as you will pass through the golden dunes. There are ample opportunities to see the desert wild lives during the safari. Rajasthan is world famous for its cuisine and learning the cooking class with a local family will be a unique experience. 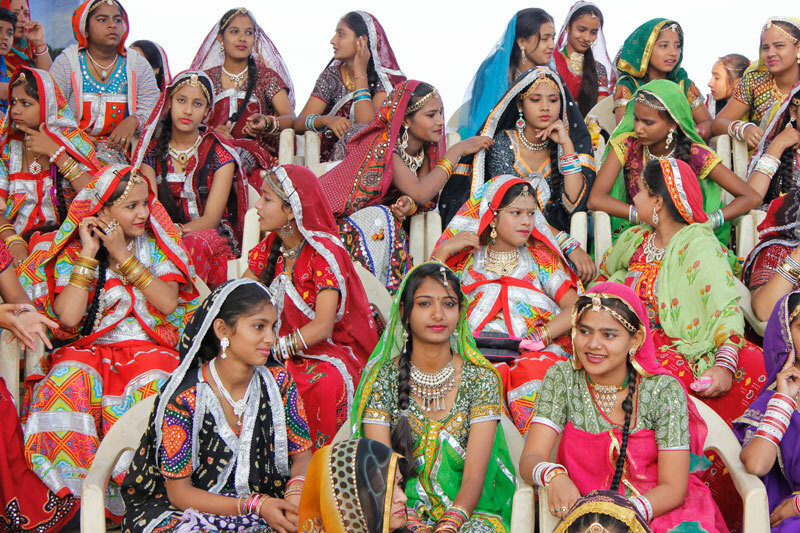 Here you will not enjoy the authentic food but also interact with the extended family to know more about their life style & culture of Rajasthan. Is VISA required to visit Rajasthan? Rajasthan is part of India and to visit you need valid Indian VISA. You can apply VISA on arrival online or contact Indian Embassy in your respective country. The best time to visit Rajasthan is from October to March and the weather is pleasant during this period. However, in December and January the mornings and evenings are bit chilly and you are advised to bring light woolen cloths. What kind of vaccinations is required? You don’t have to bring any special medicine for Rajasthan other than one prescribed by you doctor. You may bring some mosquito repellant creams.